These boots were purchased at a BMW dealer in Fairbanks, Alaska, in the middle of a six month trip. I had to replace a new pair of Forma Adventure boots which I'd bought specifically for the trip. The Forma's leaked in the first real rain and I was unable to return them while traveling. 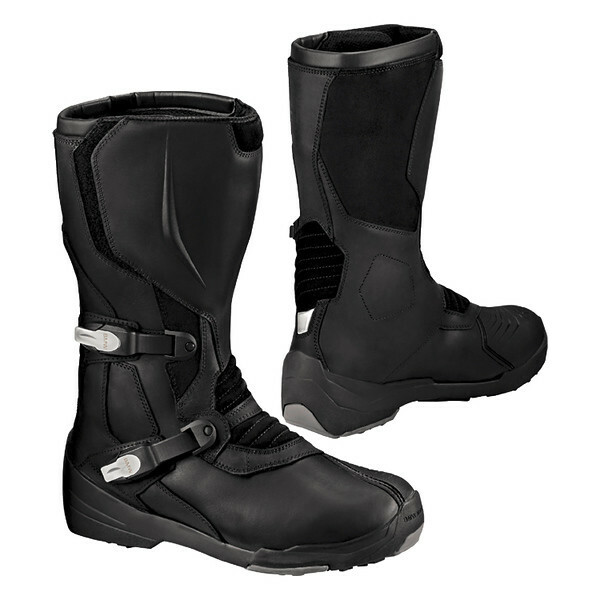 The BMW boots proved to be 100% waterproof in weeks of rain, comfortable to wear daily and are well built. They are not as comfortable as my old Oxtar Infinitys, or quite as Zombie Apocalypse proof as my Sidi Adventure, but I find their "right in the middle" a perfect balance for me. They have had one year of use from Alaska to Mexico as of this writing and I highly recommend them.